Vicki Hunter; Age: 51; Residence: Boulder; Occupation: Director of the International Affairs Honors Program at the University of Colorado at Boulder and fitness instructor at RallySport Health and Fitness Club. Of note: At 37, Hunter was in a bad car accident that broke all the bones on one side of her body. 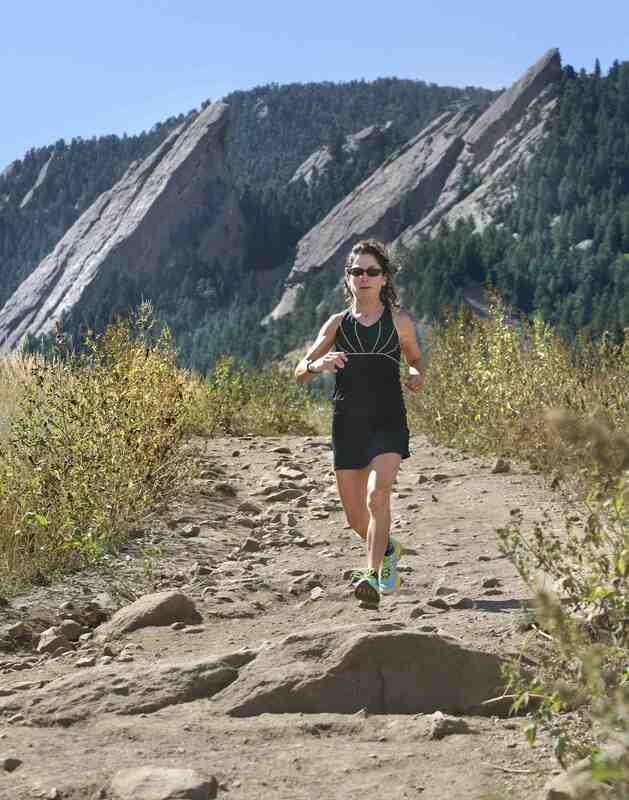 “I didn’t know if I would ever walk again, let alone run again.” Miraculously, her unborn daughter survived, and today, Hunter consistently wins her age group in everything from 5K’s to 50-mile races up 14,000-foot peaks. Hunter: When I was 13. I started running because my dad kind of got caught up in the jogging boom, and it was something he and I could do together. Q: Why do you love running so much? Hunter: It’s something I find very soothing. It even helps with my profession. I do a lot of brainstorming when I’m running. Or I can just focus completely on running and forget about everything else. As an adult and a parent (two daughters), that’s a nice thing. Q: How do you keep it fresh? Hunter: I seek out different places to run. I find races that sound fun. The other day, my husband and I wanted to go on a long run because we had a race coming up. I said: Let’s get on our bikes and ride to Eldorado Canyon. We’ll run over to Walker Ranch and come back and ride home. We ended up getting in the river, and it ended up being a four-hour adventure. Q: What’s your weekly mileage? Hunter: When I’m training, about 50 miles a week. My longest run is about five hours, or about half the time it takes me to run a 50-mile race. I do it in about nine hours. When I’m training for races, I up the speed work a little bit. If it’s a hilly race, I train on hills. Q: What’s a personal best for you? Hunter: I did a 5K in 18:07 in 1990. In 1988, I qualified for the Olympic trials in the marathon with a 2:49. Q: How do you maintain fitness as you age? Hunter: You have to have some intensity. You can’t just go out and run long and slow all the time. The other key is maintaining core strength and mixing in low-impact training. You have to stay consistent and train year-round. I do yoga, Pilates and water running. It allows you to rest the body from running and build strength in areas that running weakens. Q: How do you stay injury-free? Hunter: Pilates has been one of the things that has really been a key to my running health. I have not had a running injury since after my youngest daughter was born in 2000. I also get regular massages and do cranialsacral work. There’s so much involved in trying to stay healthy as we get older. A lot of people think of massage and chiropractics as luxuries. I really don’t see it that way. I think taking care of our body should be like a job. Q: What are your post-event recovery rules? Hunter: I will not run after a big event until I’m not feeling any soreness in my legs. But I will pool run, because that gets the blood flowing. It gets my legs loosened up and moves the fluid through my body, so I recover pretty quickly. Q: How long do you think you’ll run? Hunter: I’ve been thinking about that lately as I approach 50. I hope I’m still running when I’m 80, even if I slow down. I like being out in nature. I like the camaraderie. But I don’t know. We’ll see how my body holds up.